Charging an electric vehicle is as easy as plugging in when you stop. 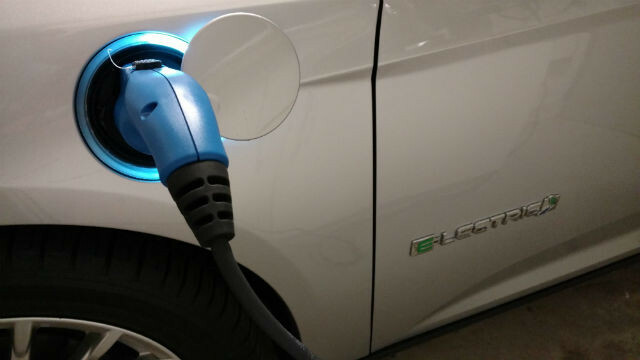 The San Diego area’s 24,000 owners of electric vehicles have until Wednesday, May 31, to register for a credit of $50 or more from San Diego Gas & Electric. The credit, which will appear on a customer’s electric bill, is part of a statewide greenhouse gas reduction effort administered by the California Air Resources Board. Anyone who drives an all-electric or a plug-in hybrid vehicle and lives in SDG&E’s service territory is eligible to participate in the program. Registration is online at www.sdge.com/evcc. Customers will need their SDG&E account number and DMV registration card to sign up. The credit will be applied to bills this summer.